New York (TADIAS) – The Ethiopian rock group Jano Band is getting ready for their New York debut at SOB’s in Manhattan on Friday, August 16th. Jano follows in the footsteps of several Ethiopian musician legends including Aster Aweke, Mahmoud Ahmed and Gossaye Tesfaye who have performed at SOB’s, also known as Sounds of Brazil. The ten-piece band will also be hosted by Marcus Samuelsson at Ginny’s Supper Club in Harlem (Stay tuned for updates). 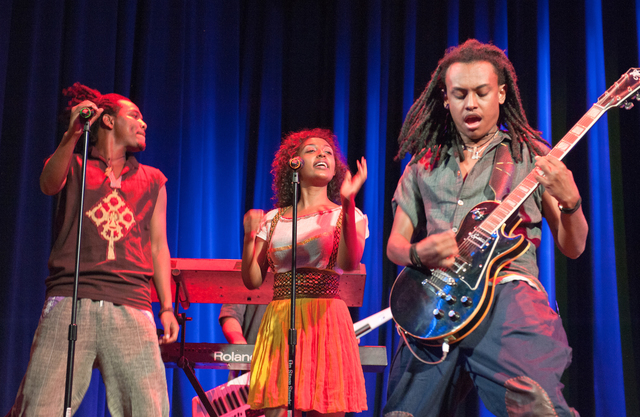 “With their debut album Ertale Jano will bring its fusion of traditional Ethiopian melodies and rock music to SOB’s,” organizers said in the event announcement. 7th Annual African Diaspora International Film Festival — Washington, D.C.